When you purchase a new vacuum, whether it be an Electrolux vacuum or a Eureka vacuum, you do so based on the assumption that it's going to help make your life much easier in maintaining the cleanliness of your home. You expect is to fire up each and every time that you use it without a problem. However, while you might expect it to keep performing properly for an indefinite period, unless the proper maintenance is carried out, your new Electrolux vacuum will eventually start to struggle to perform at the same level as it once did, and may even stop working altogether. However, these issues can often be prevented with some basic maintenance. Make Sure It's Emptied On Time - If your new vacuum uses a bag, then periodically check this bag to see if it's full, as using a vacuum with a full bag causes it to overwork and the level of suction is affected too. If you buy a bagless Electrolux vacuum, the same principle applies, except you need to check and empty the tray or container as opposed to a bag. Check Hose & Attachments - It's essential that these elements are all kept clean and clog free, otherwise their performance level could be compromised and the suction will likely be affected. Clogs can usually be easily dislodged using a broom handle. Keep the Filter Clean - The type of filter that your vacuum has will depend upon the type and brand of vacuum that you buy, so do check the user manual before implementing this tip. Many times a filter can be wiped down and this will improve performance, but if it is impossible to clean, you should replace it. Wipe the Brush Roll - The brush roll will typically accumulate hair and debris the more you use it and this needs to be kept as clean as possible, otherwise you will end up making more mess than you clean. Removing it makes it easier to clean down, and this can usually be done by pulling a latch or unscrewing a screw on the bottom plate. Belt in Good Condition? - As you've already taken the bottom plate off to clean the brush roll, you should check to see if the belt is in good condition. If it appears damaged, it will likely need to be replaced. If you're experiencing a problem with an Electrolux vacuum and would like professional assistance, don't hesitate to get in touch with our team. 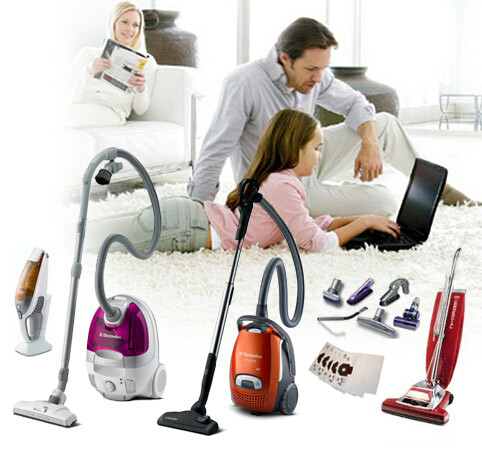 If you are interested in a Electrolux vacuum and you live in Toronto, Richmond Hill or Thornhill, contact Amati Home Systems Ltd.